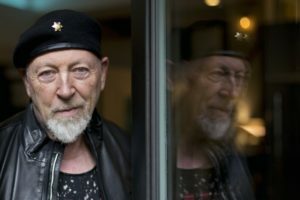 Richard Thompson is the best of his kind, and not just because he has spent his entire career defining genre rather than conforming to it. The British folk rock superstar seamlessly blends virtuosic fingerpicking guitar technique with an incredible gift for singing and song craft. The resulting sound resonates deeply with music enthusiasts in a way that leaves the listener simultaneously satiated, and always craving more. Such was the case with his first Strawberry appearance in 1990, when his epic encore performance of “Tear Stained Letter” continued to be sung by the audience for nearly half an hour after Thompson left the stage. Though the award-winning, Grammy nominated artist has gained the total adoration of a very large fan base, and is a complete legend in Berryland, he hasn’t stopped improving or exploring new corners of music. Thompson’s nineteenth solo album, 13 Rivers, was just released last fall and like a river, each of the thirteen original songs follows its own pace, while being bound together by signature musical buoyancy. We are thrilled that his incredibly talented ensemble, Richard Thompson Electric Trio, consisting of Richard Thompson (vocals/guitar), Michael Jerome (drums), and Taras Prodaniuk (bass), will make a special return to the Strawberry stage this spring. 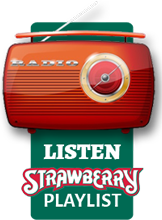 The Spring 2019 Strawberry Music Festival takes place May 23 – 27 at the Nevada County Fairgrounds in Grass Valley, CA. For more information, or to buy tickets, visit our website 24/7 or call us M-F, 9-5 at (209) 984-8630. See you there!